Well today at such a late hour i realised I needed to make a birthday card for a work colleague as she turns 50. I asked her husband what kind of thing she likes and he advised me that she liked elephants, kittens and cute things, I then remembered that I had a year with Humphrey cd rom and looked at the cd and found a decoupage sheet I liked. 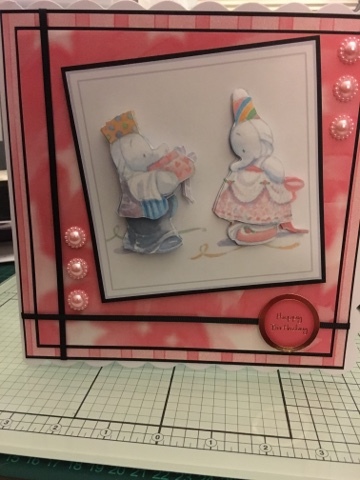 Beautiful card, love the cute elephants.